CHICAGO — Sheri Stokes lives two blocks from Laquan McDonald’s childhood home on the city’s west side and has been following the murder trial of Officer Jason Van Dyke closely. As the trial nears its conclusion, with closing arguments on Thursday, the mother of three says she’s nervously praying “all will go right” when a verdict comes down on Van Dyke, the white cop charged in the fatal shooting of the black 17-year-old on October 20, 2014. She and many others in the community are worried about what may happen if Van Dyke gets acquitted, she said. “Hell yeah we’re all thinking about it, and I’m worried it might send some people over the edge,” said Stokes, who has spent the last 27 years living in the city’s Austin neighborhood — the site of 330 shootings last year, according to the Chicago Tribune. Yet, while anxiety mounts in many black communities, less than six miles away in the predominantly white, wealthy neighborhood of Lincoln Park, concern surrounding the Van Dyke trial is much less palpable. Several other residents echoed a similar response when asked what they thought of the trial. Everett Mitchell, 33, who works at a nearby gym, said brief discussions about the trial have taken place there but he hasn’t seen anyone feel worried about it. “I’m not scared of what might happen if he’s acquitted, it’ll be a shame but I don’t think there will be rioting in the streets,” he said, adding that he felt “pretty safe” where he lives. 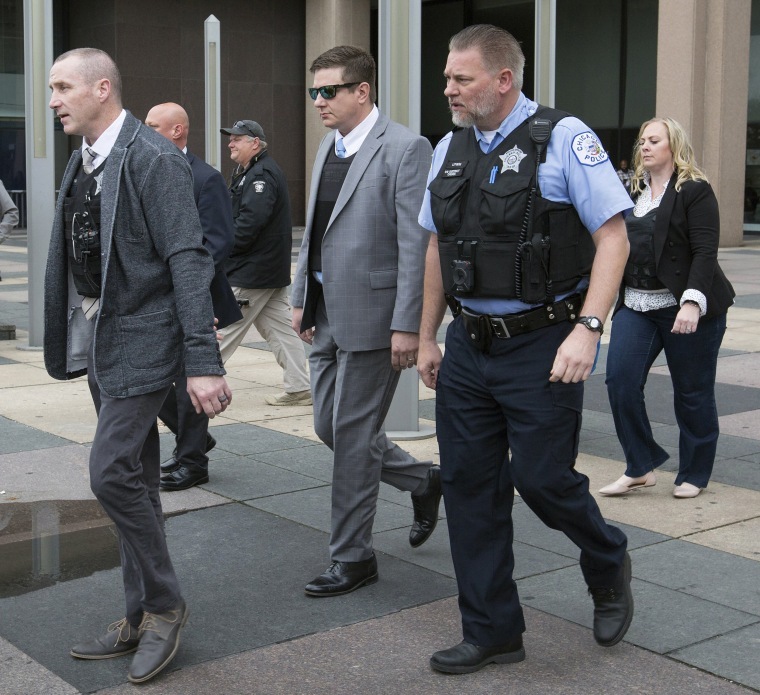 Of course, the Van Dyke trial strikes people throughout the city in different ways because it has a different relevance to their everyday lives, said Arthur Lurigio, a criminology professor at Loyola University Chicago. “Members of the black community are tuned in viscerally as they’ve been subject to police abuses over generations,” Lurigio said. And while you can be emphatic to the plight of others, if it’s not a part of your everyday reality, you move on, he said. The personal stake in the outcome of this trial is vastly polarized primarily along racial lines within the city, said Aldon Morris, a professor of Sociology and African-American Studies at Northwestern University. “This is a monumental decision for the black community so there is a fever pitch around it for them,” he said. Black families, no matter what social or economic class they fall in, are fearful because they will be affected by it in some way, he said. “While there are liberal and progressive whites who do feel concern, most view this as a black problem that is rooted and confined to those communities. As long as police can contain it, the issue doesn’t concern them,” he said. The high profile prosecution of a cop is a rarity in a city that has become notorious for unfettered police corruption and cover-ups mainly in its dealings with the black community. In a report released last year, the Department of Justice found that the Chicago Police Department displayed a “pattern of unlawful force” and “poor police practices.” A consent decree triggered by those findings is in its final stages. 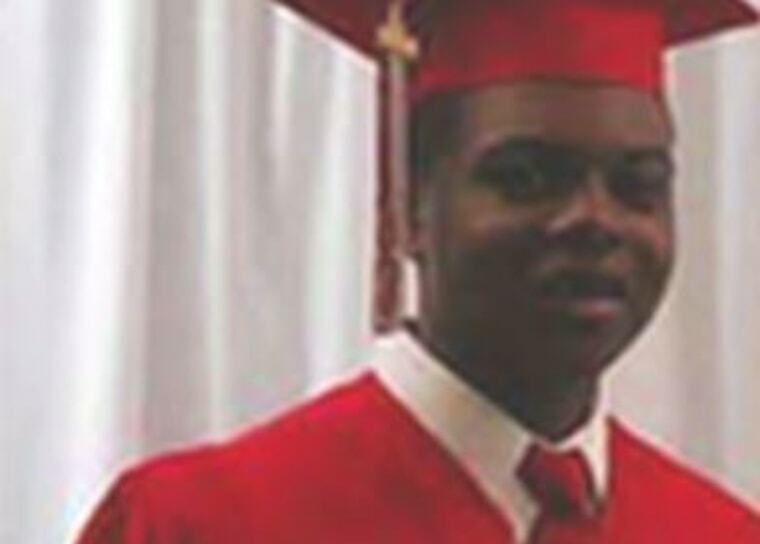 Van Dyke was charged with first-degree murder, aggravated battery and official misconduct after a police dashcam video, released one year after McDonald’s death, appeared to show him firing 16 times, some even after the teen walked away and collapsed to the ground. Despite the video, Van Dyke said on the witness stand Tuesday that McDonald kept advancing towards him with a knife in his hands. The jury began deliberating Thursday afternoon. 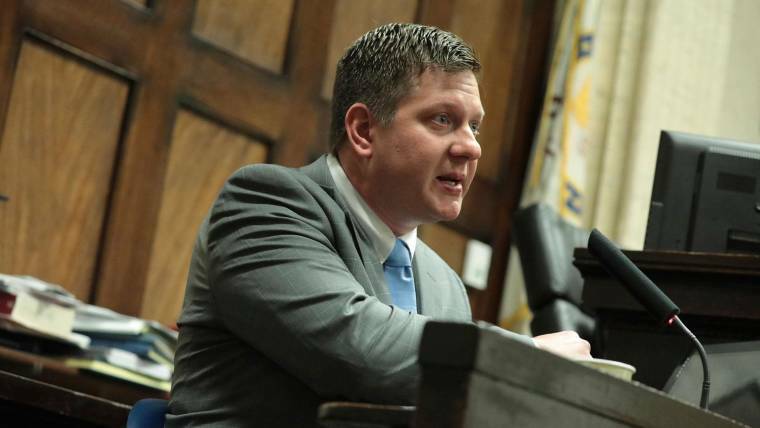 Prosecutors said in their closing argument’s Thursday that Van Dyke had sought to “exaggerate” the threat posed by McDonald and his testimony did not match video evidence from the shooting. “None of that happened. You’ve seen the videos. He made it up to justify his use of force,” said Assistant Special Prosecutor Jody Gleason said. “It shows a perspective, but not the right perspective,” he said. The dashcam footage triggered a series of mass protests and citywide unrest. But as the trial draws near, emotions are palpable say several residents of McDonalds’s old neighborhood. “I’m sick of hearing about it, I can’t talk about it anymore,” said Tonzell Brumley, 57, while covering his ears in frustration. “I think he’s going to get off, I pray he doesn’t but I feel like he will,” he said. Leanna Stokes, a nurse at Northwestern Hospital who lives near the slain teen’s former grade school, says she’s on “pins and needles.” She says a guilty verdict would be “one shot at justice” for the community. But other residents are worried an acquittal may escalate latent anger in communities already frustrated with police abuse. “I feel Chicago is going to be in a lot of trouble if this man [Van Dyke] walks free,” said Marcus Wallace, 35, a gas station security guard. “That video is indisputable, and if a jury doesn’t see that…Lord help us,” he said. The Chicago Police Department is gearing up for potential violence by canceling days off and placing officers on “12-hour shifts to ensure a maximum level of coverage for closing arguments,” according to a statement from police. 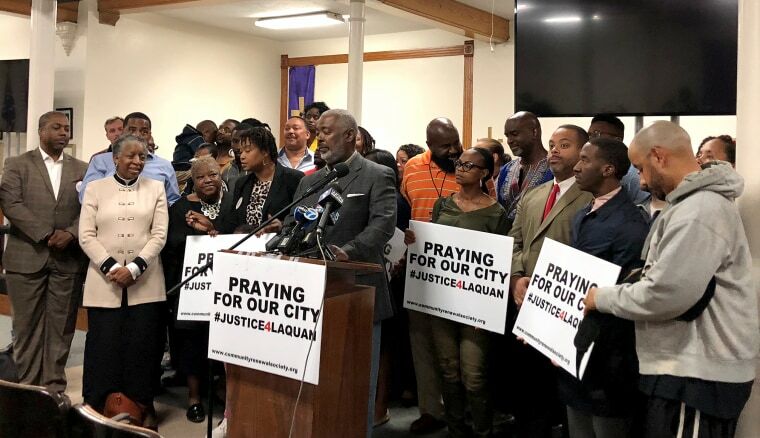 But dozens of faith-based leaders and community activists have instead repeatedly urged peaceful protest if Van Dyke walks free. Instead, they are calling for a citywide shutdown to stand in solidarity with the black community. William Calloway, a prominent activist who was instrumental in the release of the McDonald shooting video footage, asked residents to boycott businesses and for city workers to call out sick in solidarity with the black community.